You’ve made the decision to embark on some long-term travel, but where are you supposed to start the planning process? Here are some tips to help you create your long-term travel plans. Before you travel travel, no matter the length of your trip, you need to create a budget. This budget will help you to determine what you are able to afford. This is especially important when you may be in a situation where you're not working during your travels or you're living on a fixed income, such as retirement. 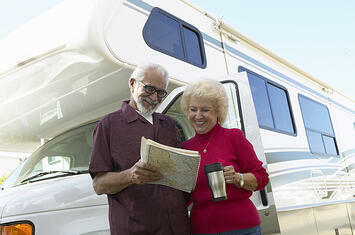 Remember to include potential emergency expenses you may face once you begin travelling. Once you know what you will be able to afford, you can start planning the details of your trip, such as where you’ll be going, how long you’ll be gone, and what you’ll be able to do. Keep in mind that you may not be able to do everything you want in the allotted time you have, so prioritize what is most important to you. To help save a little money, it may be a good idea to plan your trip during the 'off-season' of your destination. This will make it easier to book accomadations and not have to deal with heavy crowds. Now that you know what you want to do and how much you will be spending, it’s time to create a savings plan. A great way to start boosting your savings is with a Dream CD from Cyprus Credit Union. The longer of term you set for your savings, the higher your interest rate will be and the more money you’ll earn. While you’re saving, continue to do research. Are there visas that you will need in order to travel where you want to go? Will you need certain vaccines? What will your insurance cover/not cover while you’re traveling? The more research and planning you do in advance, the less stressed you will be leading up to your travel dates.